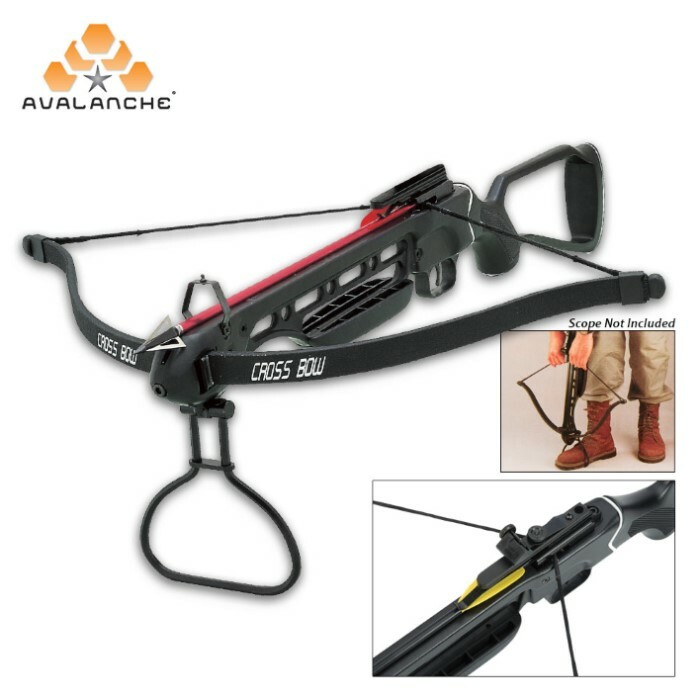 Avalanche Tactical Hunting Trail Blazer Crossbow 150-lb | BUDK.com - Knives & Swords At The Lowest Prices! 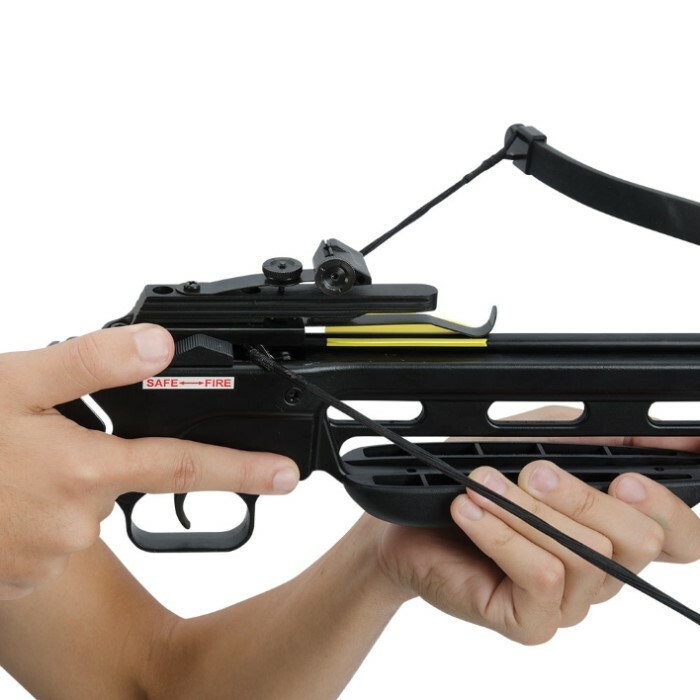 Offering optimum performance at a bottom-line price, the Avalanche Trail Blazer 150-lb Crossbow features a machined aluminum frame and stock with a tough fiberglass limb. 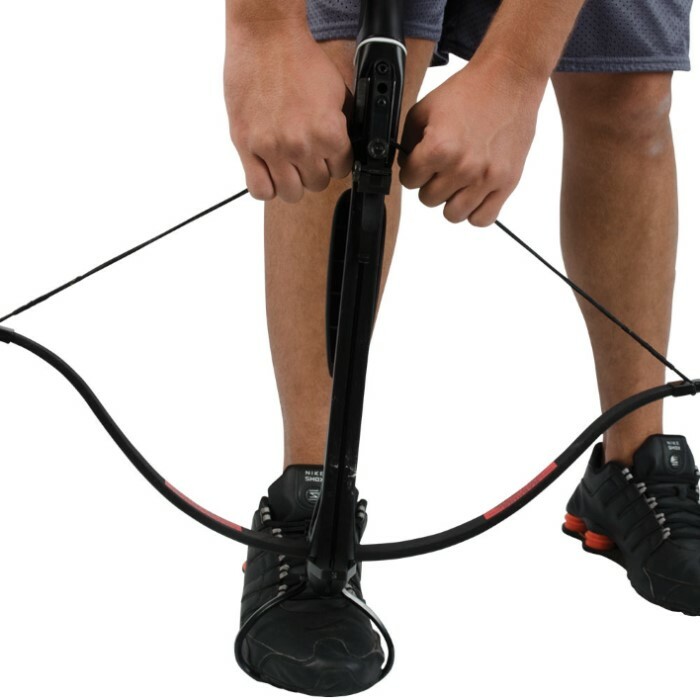 The 11" power stroke with a 150-lb draw weight delivers arrow speeds of up to 210 feet per second with a 16" aluminum bolt. Includes adjustable sights for precision aiming and a mounting rail for adding a scope or red-dot sight. Includes two aluminum bolts.